Fairy Tail 454 see’s Fairy Tail initiate their attack against the sky-based ships brought in by Azir by first defending the cannon attacks then unleashing their own Jupiter Cannon attack destroying many ships, while also unleashing Team Flying Dragon consisting of Natsu, Gajeel and Wendy as they fly through into the enemy’s forces destroying ships, until they land on one and can’t fight any longer, Erza appears and calls Azir out. Fairy Tail 454 begins as everyone in Fairy Tail quickly arms up, as the bell rings, Azir tells every ship to fire upon Fairy Tail using its own cannons but fails as there seems to be some sort of barrier placed by Freed, who calls it Jutsu Shiki. It seems to be holding out, however it doesn’t seem like it’ll hold for long. It seems that they’ve come from the west, Mavis mentions that it’s just as they calculated, in fact she’s surprised that they only sent a small fleet then what she had expected for a preëmptive strike. Mavis tells Warren to contact Teams Flying Dragon and Osprey to commence attack. Team Ospreys consisting of Bisca, Alzack and Asuka are in the forest where they will try to fire upon the ships. However, out of nowhere, three quickly approaching flying objects approach the ships, ram onto them and quickly explode. It’s Natsu, Gajeel and Wendy along with Happy, Lily and Carla helping them fly. They go on as they try to destroy each ship one by one. Bisca on the other hand is preparing a large cannon where she’ll be firing upon the ships in the sky. Bisca fires the Focused Magic Cannon: Jupiter Shot which heads right towards Azir’s ship. However he places a barrier on his ship which disperses the cannon’s attacks onto other ships which causes even more problems for them as even more ships go down. Gajeel, Natsu and Wendy land upon Azir’s ships, but seconds later, they’re quickly affected by vehicular sickness. Even Wendy can’t use her Troia at this point. Azir knows that a lot of their ships will be landing due to the damage, thus he shall take care of them. He holds onto Natsu but out of nowhere Erza appears and slices the front part of the ship causing it to fall. Nevertheless, many of his men are killed right there as Erza appears in her Heaven’s Wheel Armor as she mentions that she will be the one to cut him down. Evergreen adds in that he’ll have to bow down to her. Fairy Tail 454 ends here. An interesting chapter indeed, I thought a little more would happen, but I’m thoroughly satisfied with what had happened in this chapter. Can’t wait for next week’s Fairy Tail 455, titled “Magnolia’s Defensive Battle”, when the whole city is on the defensive against the forces of Zeref. All this nausea is nauseating. All the “training” and they still can’t figure out nausea… Come on! I guess it’s their only weakness, and even at such a crucial time, Hiro tried to add something funny to the mix. 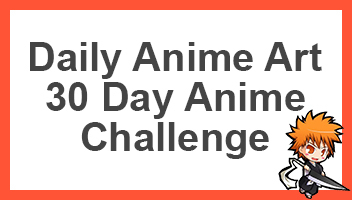 It’s filler, and would rather have content 🙂 for the record I love fairy tail. Hate that this will be the last arc.